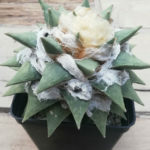 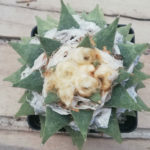 Ariocarpus retusus var. 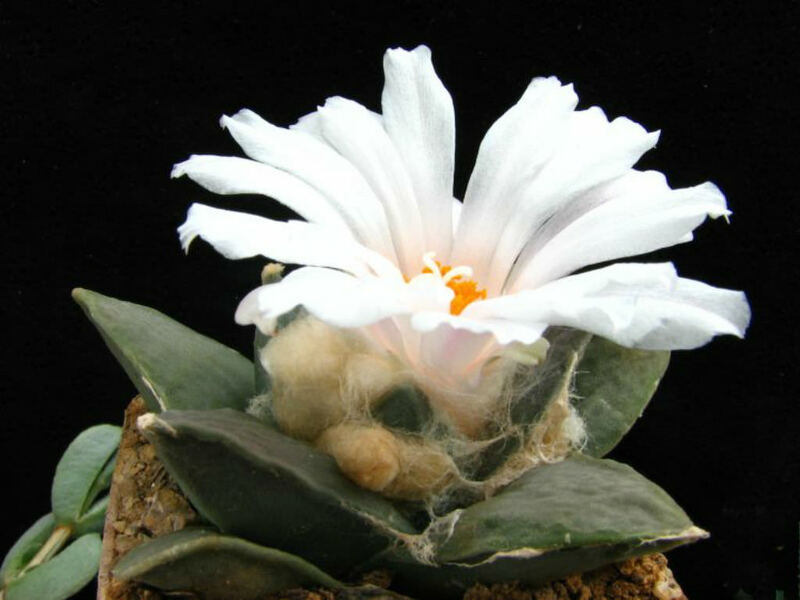 furfuraceus is a slow-growing, solitary, geophyte cactus with tubercles slightly projecting above ground level. 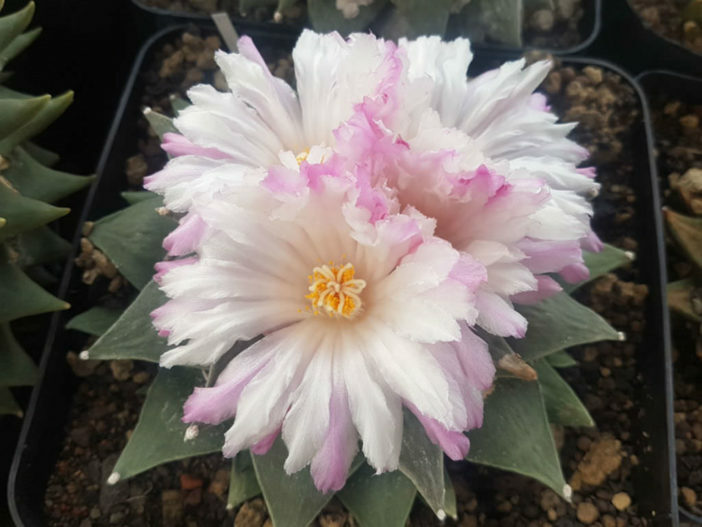 It differs from the standard form of Ariocarpus retusus only for its equilaterally triangular tubercles, all the other characteristics clearly show that they are conspecific. 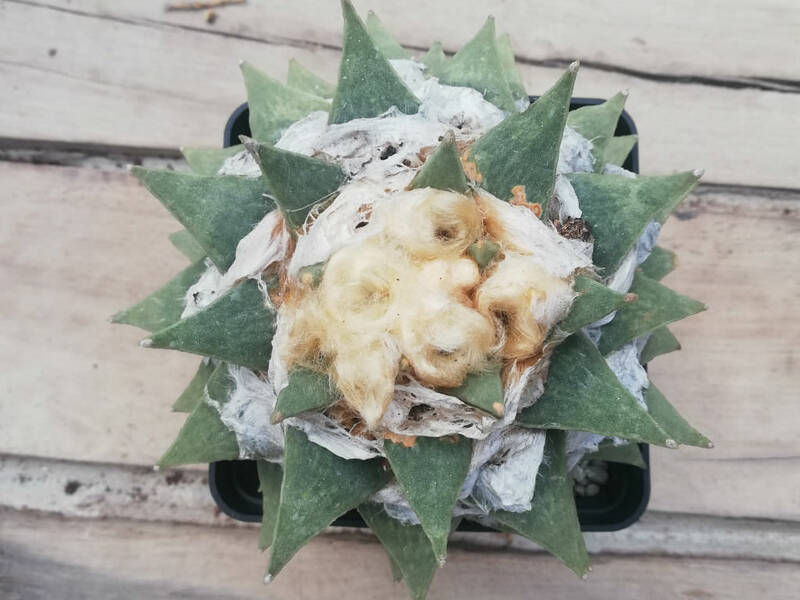 The stem is grey-green, flattened, globose, rounded on top, up to 5 inches (12.5 cm) tall and up to 10 inches (25 cm) in diameter. 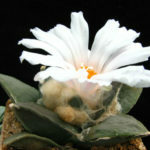 The flowers are diurnal, white to pinkish, up to 0.8 inch (2 cm) long and up to 2 inches (5 cm) in diameter. 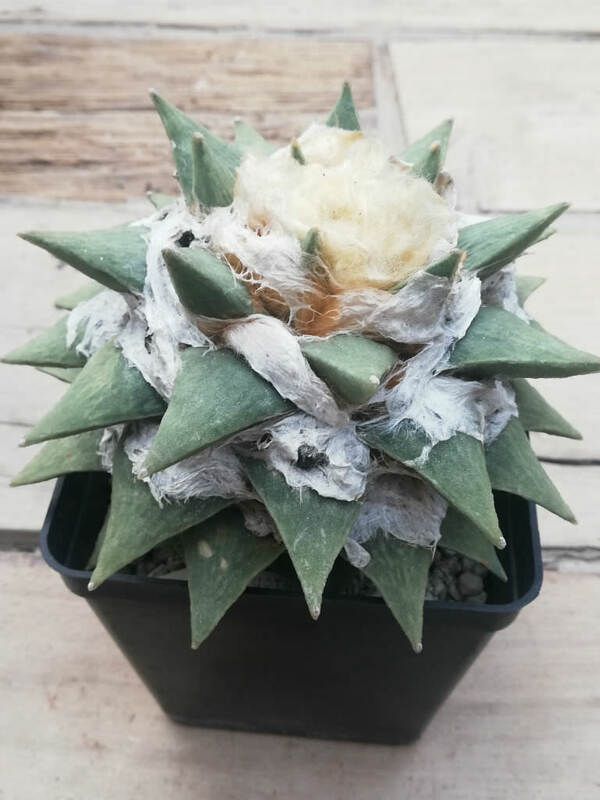 Ariocarpus retusus is naive to Mexico (widely distributed in Coahuila, San Luis Potosi, Tamaulipas, Zacatecas and Nuevo Leon).